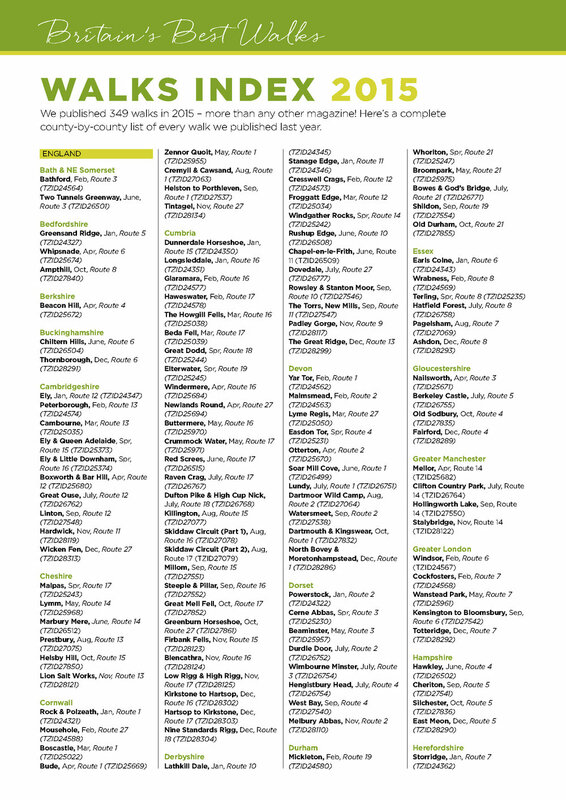 You can also use the map below to find every Country Walking route published on OS Maps, plus grades, distances and the publication date. Simply zoom and pan the map to browse, then click on an icon for details. 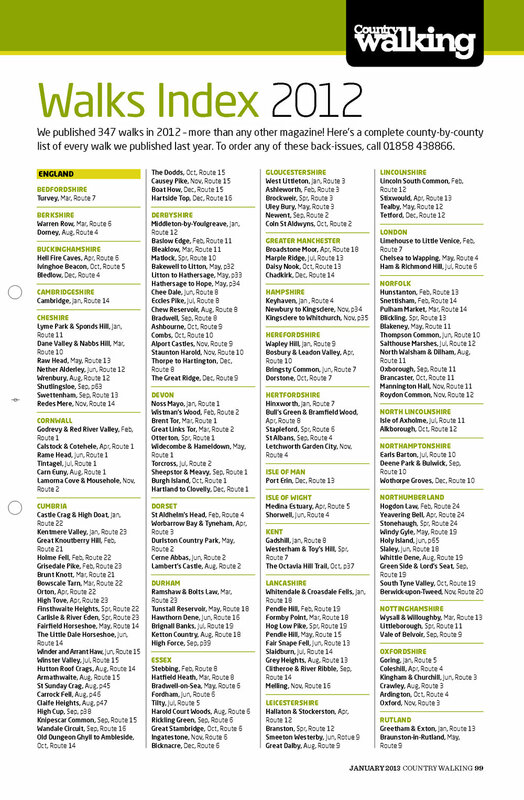 Click the OS Maps link to access an online version of the route. 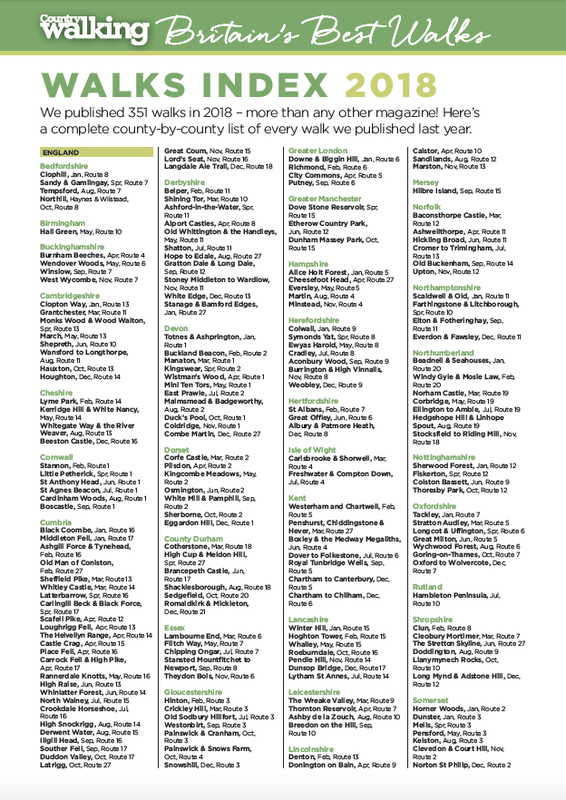 County by county, year by year: your complete index of the routes we've published since January 2011, and which back-issues to find them in. Just click on each image to open the document.